A former member from Susan’s earlier singing group, the Corpus Christi Folk Music Society, was named Mike Merchant. He had recently written a tune called “Time.” The song became a Top Ten hit in numbers of regional markets, including San Antonio, Fort Worth, Los Angeles, Boston, Orlando, San Diego, Denver and Louisville, and climbed to #5 in Edmonton, Alberta. With the regional success of “Time,” the Pozo-seco Singers were off to record in Nashville and had a new manager named Albert Grossman. Things really started to happen. The Pozo-seco Singers soon appeared on TV with Nancy Wilson, The Smothers Brothers, and in concert with Ian and Sylvia. The trio also performed for a two week gig with Gordon Lightfoot in Greenwich Village. One of the tracks on their second album, I Can Make It With You, was Lightfoot’s “Ribbon Of Darkness”. In 1966, their third single release, “I Can Make It With You”, climbed to #32 on the Billboard Hot 100. While their followup single was a flop, their fifth single release, “Look What You’ve Done”, also made it to #32 on the Billboard charts. “Look What You’ve Done” was co-written by Bob Johnston and Will Farrell. Johnston had recorded a few rockabilly tunes in the early 60’s and his spouse, Joy Byers, wrote songs for Elvis Presley, Time Yuro and others. Johnston produced Patti Page’s comeback hit in 1965 titled “Hush Hush Sweet Charlotte.” He also produced Highway 61 Revisited, Blonde On Blonde, John Wesley Harding, Nashville Skyline and Self Portrait albums for Bob Dylan. Johnston also produced Simon And Garfunkel’s Sounds Of Silence and Parsley, Sage, Rosemary And Thyme albums. In addition, Bob Johnston produced a number of albums for Johnny Cash, Marty Robbins, The Byrds, Leonard Cohen, Pete Seeger, Flat and Scruggs, and others. For his part, Wes Ferrell co-wrote “Boys”, the B-side to “Will You Love Me Tomorrow” by The Shirelles, and covered in 1963 by The Beatles. He wrote “Come A Little Bit Closer” for Jay & The Americans, the #1 hit in 1965 for the McCoys titled “Hang On Sloopy”, and “Come On Down To My Boat” for Every Mothers Son in 1967. He also co-wrote “Indian Lake” for the Cowsills and “Doesn’t Somebody Want To Be Wanted” for The Partridge Family. For five years the New York born Ferrell was married to Tina Sinatra, the sister of Nancy Sinatra. “Look What You’ve Done” is a song about someone who is baffled why their relationship ended. Or so it seems. The singer wonders why they are alone. They liked the status quo when they could touch, hold and kiss their ex-partner. However, the lyrics reveal a clash in values. The singer just wanted to give their heart and soul, while the person they were kissing only wanted “diamonds and gold.” One person was looking for love, while the other person was looking for wealth. While the two aren’t necessarily incompatible, in the case of “Look What You’ve Done,” it seems all that kissing, holding and touching wasn’t getting one person in the pairing fast enough up the economic ladder to keep one of them satisfied. On a British advice website, a person identified as Frank wrote, “Dear Heart to Heart, I have been dating a campus girl for two years but she only calls me when asking for money. When I tell her that I do not have the money, she does not talk to me until I send it to her. Although I pay her rent, I do not know where she lives and when I ask her whether I can visit, she says no. She also deletes all my comments on her social media posts. Is she ashamed of me? Frank.” Poor Frank. He’s hooked for some reason and persists in giving his “girlfriend” money, even though she won’t see him unless he hands over some cash to him. Frank doesn’t realize that the kind of relationship he is engaging in is only monetary. He may love this woman, but she’s using him as an ATM machine, and it’s not even her money. It is important to determine if the values and expectations one has of their partner are compatible. In this advice column, Frank is slow to read the signs. And in “Look What You’ve Done,” the person left behind seemed to be living with their head in the clouds. Otherwise, they wouldn’t have been surprised when their romantic partner left them in the dust for diamonds and gold. Soon after the release of I Can Make It With You, Lofton Kline left the Pozo-seco Singers. He didn’t get along with producer, Bob Johnston. Kline also found the new touring schedule grueling. Rob Shaw became the new tenor voice in the trio. Shaw introduced a song he’d written called “I Believed It All.” It was popular in live concerts and the trio pitched it to Bob Johnston. However, the producer rejected it for an A-side, preferring “Excuse Me, Dear Martha” for single release. That release stalled at #102 under the Billboard Hot 100. DJ’s started flipping the single and “I Believed It All” made it to #96 on the Hot 100 despite no promotion, and #8 on the Billboard Easy Listening chart in May 1967. They also released “Morning Dew” as a single that year. Friction with Bob Johnston led the Pozo-Seco Singers to get a new producer for their next album, Shades Of Time. 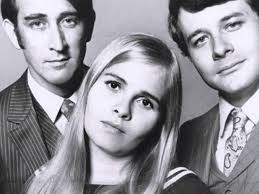 However, they were now just Don Williams and Susan Taylor and got backing vocals from the Canadian band, The Paupers, including Skip Prokop who went on to form the Canadian band Lighthouse. As a Pozo Seco duo, Williams and Taylor released a fourth album in the spring of 1970 titled Spend Some More Time With Me. 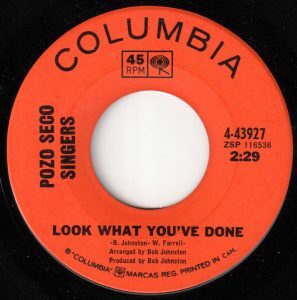 However, according to Tom Pickels background article on the Pozo Seco Singers website, Susan Taylor recalls that the timing of the album was bad. The Kent State shootings in Kent, Ohio, “took the air out of the folk movement,” as Taylor tells it. Much of the innocence and optimism of the folk songs they were singing no longer seemed to fit the changing times. Don Williams went on to a very successful recording career in Country music. He chalked up 17 #1 hits on the Billboard Country charts and over twenty other singles on the Top Ten. Between the mid-70’s and early 80’s, Williams received awards for Male Vocalist (of the year) from both the County Music Association in Nashville and the Academy of Country Music in Los Angeles. Susan Taylor went on to bill herself as Taylor Pie. She moved to New York City and sang in venues like Folk City and The Bottom Line. Bette Midler heard her play and Taylor Pie offered to buy her a drink. Midler replied, “I need to buy you a drink, this place is a dump.” Midler went on to perform Taylor Pie’s song, “Back In The Bars Again”, on Midler’s 1975 tour, Clams on the Half Shell Revue. Taylor Pie moved to the Berkshires in the 80’s and performed with Arlo Guthrie and others. Based in Liberty, Tennessee, for the past few decades, she has continued to tour as a solo artist. In 2015 was inducted into the Country Music Hall of Fame.